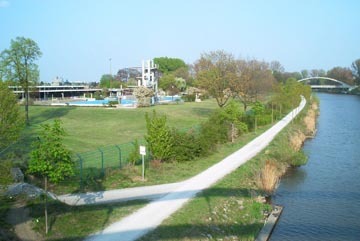 We have tried intensively to gather information about DP camp 36/4 Möckernstrasse in the records of the City of Hannover. To tell you frankly our research has proven only very little results. 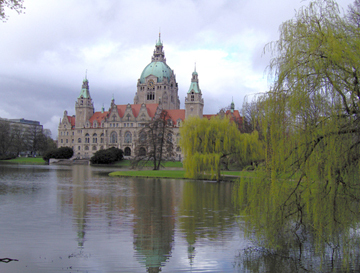 In our records we could find only a Einwohnermeldekarte (registration form for residents of a community) made out in your name, carrying your birth date, the number of the entry into the births records of the registry office, your religion, the names of your parents, and the place of residence. A copy of this registration form we have included in this letter. According to this registration form you were born in the Provincial Womens Hospital at 5 Herrenhäuser Kirchweg and were living at Camp Möckernstrasse. Unfortunately there are no further details given about this camp, e.g. "camp 36/4". 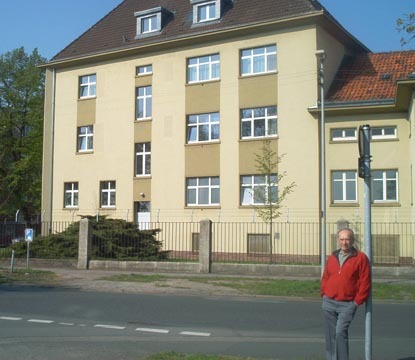 The area of Möckernstrasse is known to us as a housing area for military staff during the war, these people were living in barracks. After the war the area was turned into living quarters for former forced laborers staying here until their repatriation. 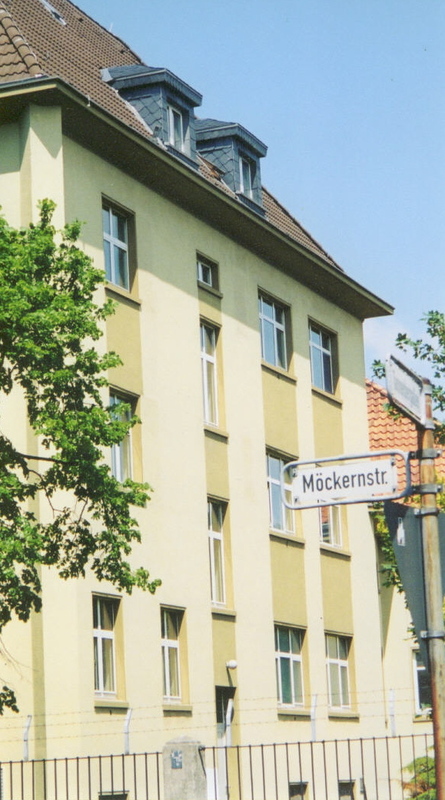 The building Möckernstrasse 27 was called Lyssenko Camp, which is named differently in another source: "76 D.P.A.C.S.". We have in our possession a list of all people having lived in this camp between October 1945 and June 1950. Unfortunately neither your parents nor you are listed. 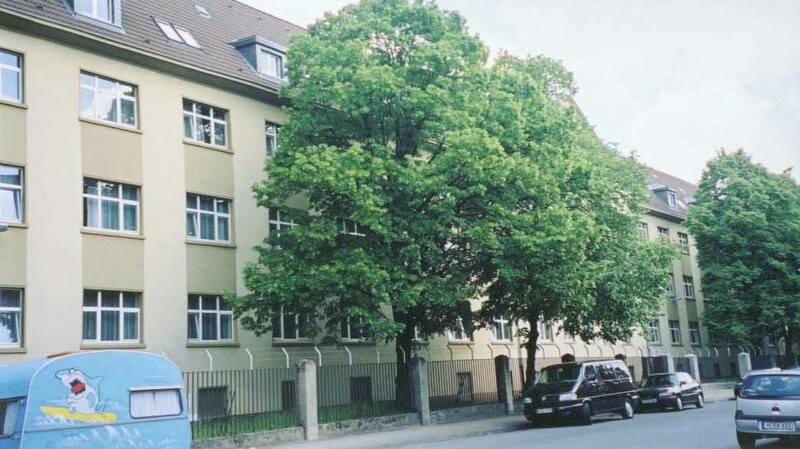 One possible explanation might be your family has been accidentally forgotten to enter into this list, another reason might be there have been more camps than just Lyssenko at Möckernstrasse - but in our records we are lacking information about such camps. All DP camps were under control of the British Military Government, the German administration took over only in June 1950. 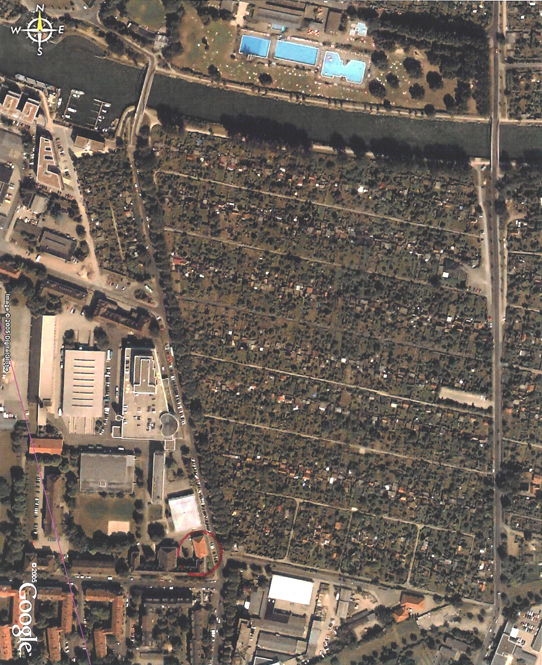 At this point of time (June 1950) there was only one DP camp at Möckernstrasse 21 - 27: Lyssenko Camp. 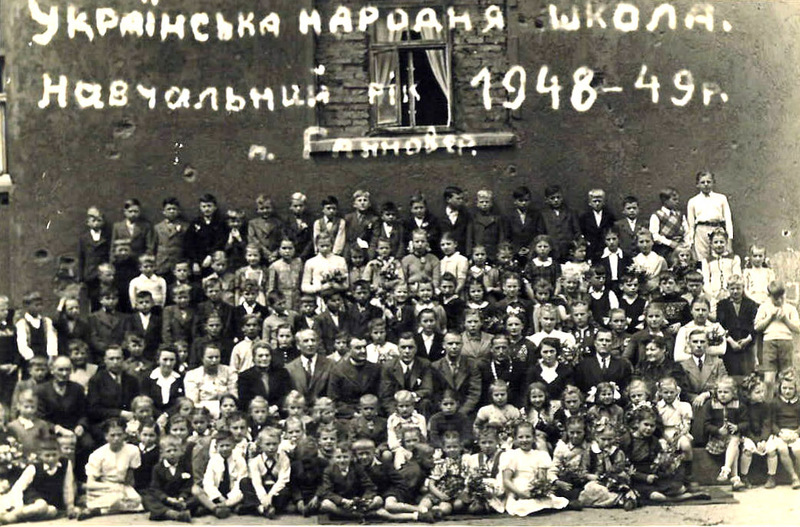 In early June 1950 there were more than 3.100 men, women, and children living in this camp, most of them were from the Ukraine and White Russia (hope this is correct: Bielo Russia, can't find the English name in my dictionary). For further research, we recommend the Archives of the State of Lower Saxony .... or the Public Record Service ...Great Britain. Both have records about the administration of these DP camps. We are very sorry we can't give you more detailed answers. It might be wortwhile to write to the British Public Records Office, this I would guess might be the best bet as the British were the ones to have all DP camps within their occupational zone under control - if anybody at all they should have records. ... 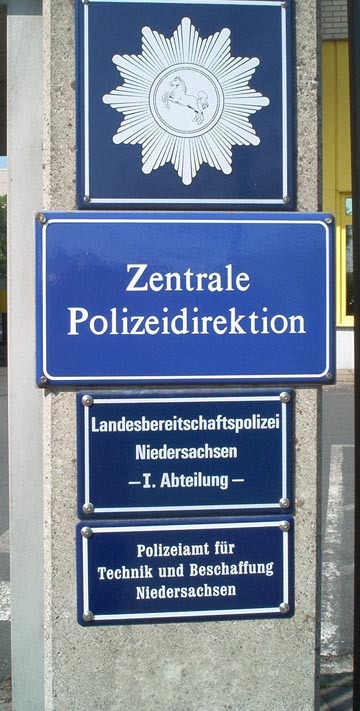 This was combined with the general tracking service in 1991 when in the course of the German reunification the sister organisation of the German Democratic Republic was taken over by the German Red Cross and both tracking services were united in Munich. So both organisations are actually integrated into one service and their combined knowledge has helped to clarify the fate of a few hundred thousands of missing people or has assisted in the reunification of families having been separated for decades. 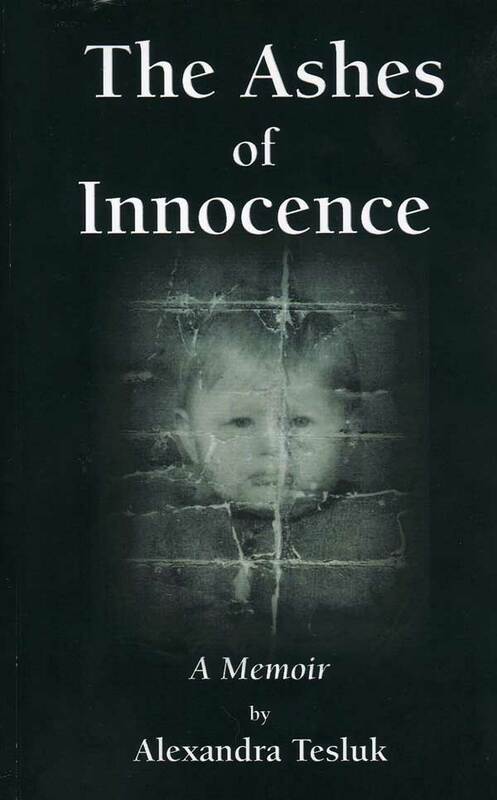 But much to my surprise I learned there are more ten 2 million cases still open - including those of people who have disappeared from East Germany and their whereabouts remain unknown until today. This guy told me that a search like the one you are trying is virtually impossible on a private basis. Too many files of DP camps have been lost or were actually never set up or maintained. Some files of persons living in those camps have been passed on later by various military governments or administrations to the German administration but it took the Red Cross until the early 70s to get those registers together - with most likely several data lost again as these files were set up by various bodies (communities, allied military, even private organisations and churches had their own files). You can imagine what kind of different data had to be put together to allow the Red Cross tracking service to find more than 30 million missing people. To take a long story short: as there is basically no other organisation which has access to those files and archives your best bet is still the German Red Cross - especially as community offices are not known to be very cooperative especially if they have to deal with requests of foreigners. For German nationals they are a pain in most instances. Don't give up hope, if you have already registered with the tracking service your request will be answered some day - hopefully to your liking. Good luck with your research! 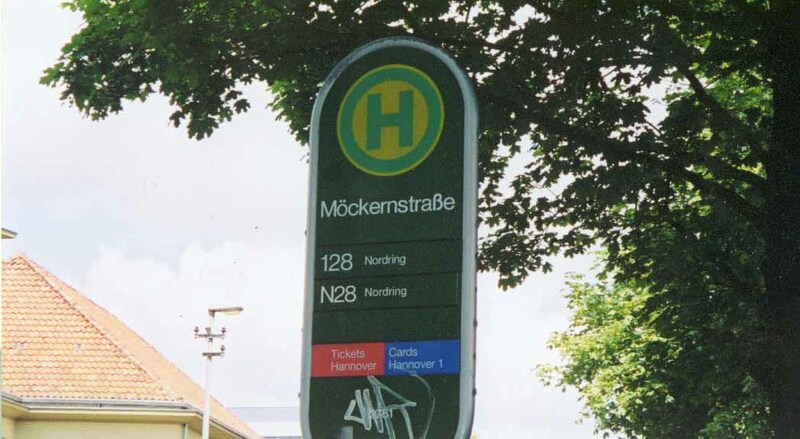 I was born in a camp in Hannover: the 36/4 is listed on my baptismal certificate; Lager Moekenen is listed on my birth certificate. 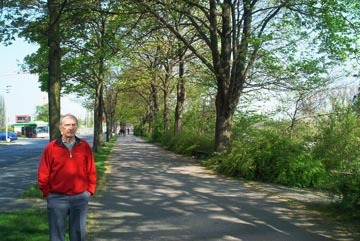 Do you have any information on Camp Moeckernstrasse in Hannover, the still missing Andreas Tesluk or other Tesluk family members? 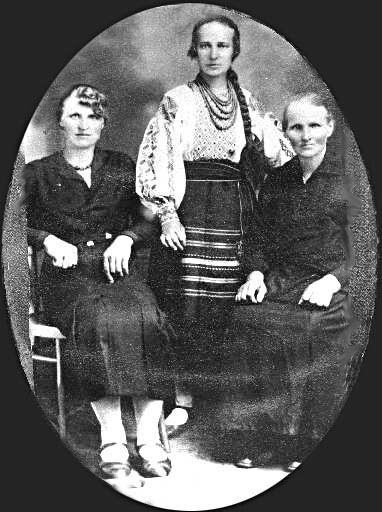 Telka TESLUK, in the 1930's / 1920's. My mother in early 1946 was expecting me in this photograph. 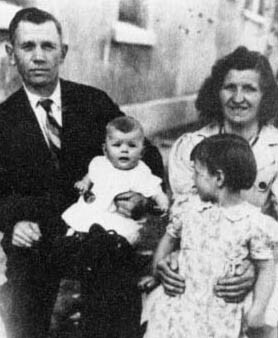 Photo taken in Lager Mockernstrasse in approx.1947. 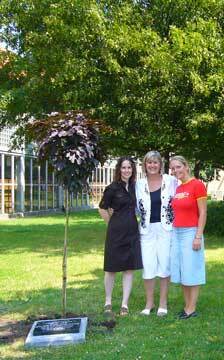 my mother Olga (Helka) & sister Maria. Andreas' left hand has missing fingers. He may have been tortured. December 02, 2005, I have included a few photos: Here is the Ukrainian school in Lyssenko. I am on the 3rd row, far left, behind the older gent. Is your sister there? 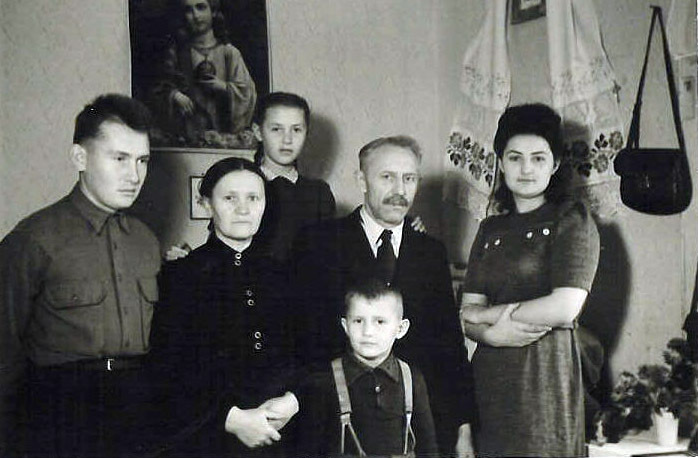 On the left is my family in our apartment in 1948. I am the little fellow in front. 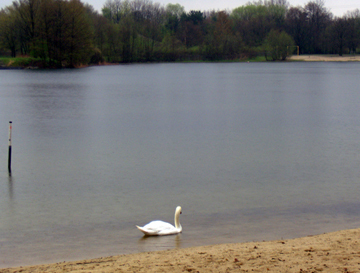 Many Lysenko people used to go there for swims. 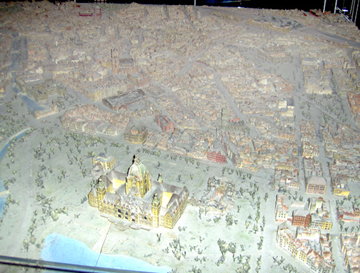 Model of Hannover at end of war. use it as reminder of that time. 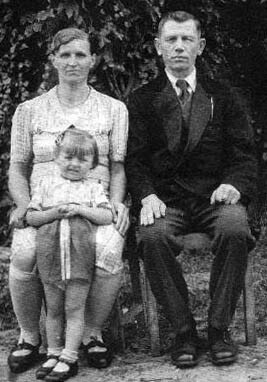 Lysenko was in the upper right hand direction but off the model about ten blocks away. I am attaching an air photo showing the S.E. corner of Lysenko. The red circle near the bottom is were I lived in the block with the orange roof. I think your block would have been one of the darker roofs to the left. This is the sign at the main entrance to the camp. I have not yet had it translated. My family (mom, dad, three sisters, two bothers) was one of the first to move into the camp. 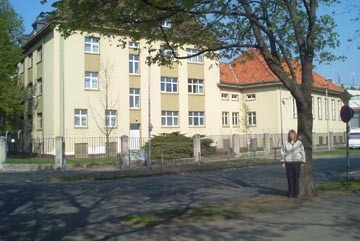 My sister, Halyna, was a teacher in the school which began in 1946 (I think). Our apartment was in the very south-east corner of the camp. Across the road to the east, by the orchards was a small store where I recall buying candy and pop. The store is still there, but is now a day-care centre. To the right is the apartment we lived in for 5 years. The annex to the right was originally a gymnasium, but in 1947 (I think), it became the Ukrainian church and my Dad was a deacon there. His name was Mykola Xomenko. The lady in front is my wife, Judy. 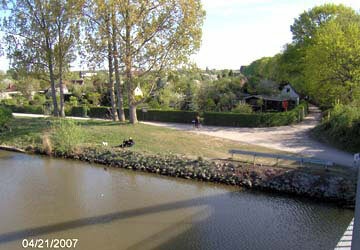 Here is the canal and swimming pools we played at just north of the camp. 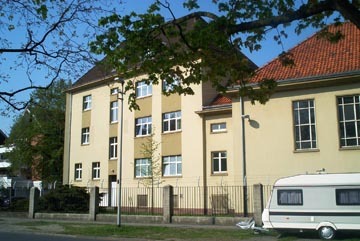 This is the same apartment looking south with the church annex on the right. This is a close up and our window is on the second floor left on me. I still can’t believe how everything is just as I remembered and all the buildings have been so well maintained. I think they are in better shape now than when I left 55 years ago. Hope this is a little more clear to you. Le me know if you need more. 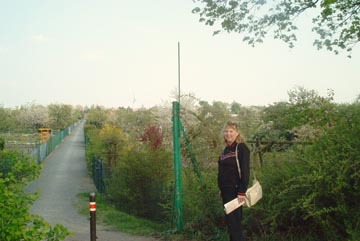 This is me and the road between the camp and the orchards which leads to the canal. 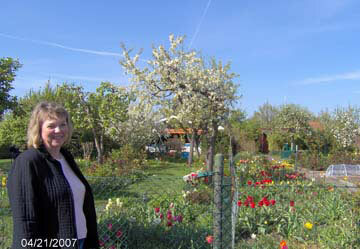 This is Judy in front of the orchards east of the camp. The weather and sights have been fantastic.